Looking for Indoor Pools in Scotland? Many of them belong to gyms or sport centres which also offer lessons. There are normally discounts available to senior citizen and little youngsters. Discover by contacting your nearest pool in Scotland. Are you on holiday and want to keep fit and wholesome? 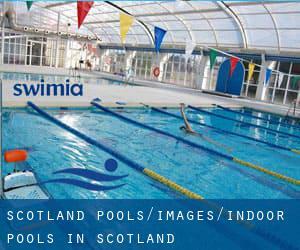 Swimia.com provides you the uncomplicated and quickest solution to acquire pool near Scotland. Water sports are growing specifically in elderly population sectors who've suffered some kind of muscle or bone damage. Swimia.com has essentially the most up-to-date database about Pools. These would be the Indoor Pools in Scotland other users have reported. Are you a local and your pool is just not listed? Contact us to ADD IT. It's absolutely free! Holding an estimated population of 610.268, Glasgow is one of the most important cities in Scotland. Check all the Swimming Pool in Glasgow and its surrounding region. Let us tell you a secret to switch off while you're in Dundee: just select a Pool in Dundee and plunge into the water! There's no more beneficial process. Whereas Aberdeen is among the six most populous cities in Scotland with almost 183.790 residents, you shouldn't miss that one if you're going to Scotland. It's hard to visit Scotland without dropping by East Kilbride (with 74.231 residents). Currently Swimia is showing you all of the Pool in East Kilbride and the closest pools situated in its vicinity. Swimming is a fantastic idea to help keep your body active during your visit to Paisley (Scotland), or perhaps if you are a local. Swimia assists you to locate your closest Pool in Paisley. Without a shadow of a doubt, swimming in Edinburgh will be the most effective way to unwind following perform. 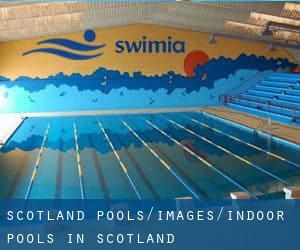 Take a couple of minutes to browse Swimia's catalog to find a Swimming Pool in Edinburgh. Updated on 2019 On the Grounds of Alness Academy , Alness , Scotland , UNITED KINGDOM (Postal Code: IV17 0UY). Among all of the activities provided by the centre, if you are keen on swimming you will appreciate 25 meters x 9 meters, Indoors. Just in case you want to contact this Pool just before dropping by, we only know the phone number. Updated on 2019 Academy Road , Invergordon , Scotland , UNITED KINGDOM (Postal Code: IV18 0LB). Swimmers like you reported 20 meters, 4 lanes, Indoors. Phone number and e mail address are number for this Swimming Pool. Updated on 2019 Abbots Road , Grangemouth , Scotland , UNITED KINGDOM (Postal Code: FK3 8JB). This sports centre offers 25 meters, 6 lanes, Indoors. For this Swimming Pool, only phone number is number here. Updated on 2019 1 Festival Square , Edinburgh , Scotland , UNITED KINGDOM (Postal Code: EH 3 9SR). This sports centre provides 19 meters x 6 meters, Indoors. Contact info for this Pool which include phone number and email address are number. Updated on 2019 2 Abbotsford Road , Clydebank , Scotland , UNITED KINGDOM (Postal Code: G81 1PA). Swimmers like you reported 25 meters. 6 lanes, Indoors. Unfortunately we do not have the email address of this Pool, but we can give you the phone number. Updated on 2019 Hartfield Road , Tain , Scotland , UNITED KINGDOM (Postal Code: IV19 1DX). This sports centre delivers 20 meters, 4 lanes, Indoors. For this Pool, only phone number is number here. Updated on 2019 30, Drumbrae Terrace , Edinburgh , Scotland , UNITED KINGDOM (Postal Code: EH 4 7SF). This sports centre gives 25 meters, 5 lanes, Indoors. Contact information for this Pool similar to phone number and e-mail address are number. Updated on 2019 Earl Gray Place , City Centre , Dundee , Scotland , UNITED KINGDOM (Postal Code: DD1 4DF). Swimmers like you reported 25 meters, 6 lanes, Indoors. Phone number and e-mail address are number for this Swimming Pool. Updated on 2019 Back Road , Golspie , Scotland , UNITED KINGDOM (Postal Code: KW10 6RA). Among all the activities offered by the centre, for anyone who is interested in swimming you will enjoy 25 meters x 9.5 meters, 4 lanes, Indoors. Just in case you would like to get in touch with this Swimming Pool prior to dropping by, we only know the phone number. Updated on 2019 29 Caledonian Crescent , Edinburgh , Scotland , UNITED KINGDOM (Postal Code: EH11 2AL). This sports centre offers 25 yards, 5 lanes, Indoors. Contact facts for this Pool like phone number and email address are number. Updated on 2019 Glenogle Rd. , Stockbridge , Edinburgh , Scotland , UNITED KINGDOM (Postal Code: EH 3 5JB). Swimmers like you reported 25 yards, 5 lanes, Indoors. Phone number and e mail address are number for this Pool. Updated on 2019 Meadow Road , Dumbarton , Scotland , UNITED KINGDOM (Postal Code: G82 2AA). Among all of the activities offered by the centre, if you are keen on swimming you will appreciate 25 meters leisure pool, Indoors. Just in case you would like to contact this Swimming Pool before dropping by, we only know the phone number. Updated on 2019 21 Dalkeith Rd. , Newington , Edinburgh , Scotland , UNITED KINGDOM (Postal Code: EH16 5BB). Swimmers like you have reported Olympic size, 2 meters depth, 2 meters depth, Indoors. Also, you will find 25 meters, variable depth teaching pool, Indoors. If you will need to get in touch with this Swimming Pool, e-mail address and phone number are both number. Updated on 2019 McGinley Way , Linlithgow , Scotland , UNITED KINGDOM (Postal Code: EH49 6SQ). Swimmers like you reported 20 meters, 5 lanes, Indoors. Unfortunately we do not have the email address of this Swimming Pool, but we can give you the phone number. Updated on 2019 15 Bellfield St. , Portobello , Edinburgh , Scotland , UNITED KINGDOM (Postal Code: EH15 2BR). This sports centre gives 25 yards x 10 yards, 5 lanes, Indoors. For this Pool, only phone number is number here.